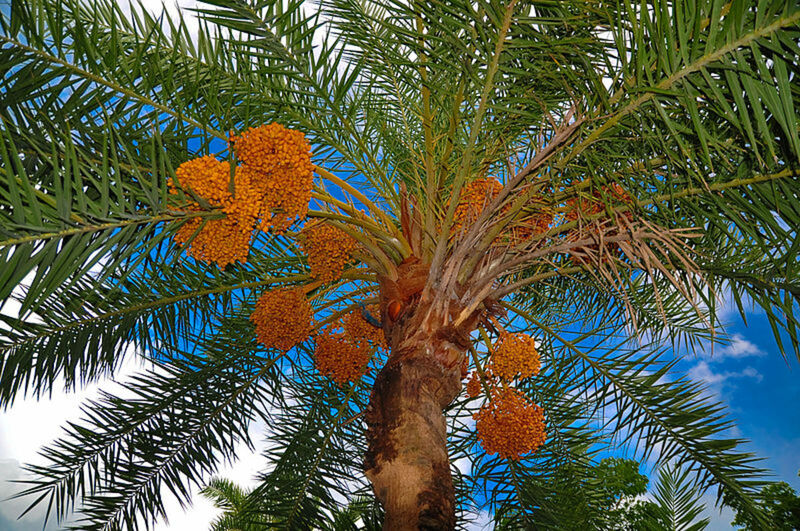 Dates Palm, is a type of flowering plant in the palm family, Arecaceae, cultivated for edible sweet fruit. Dates have been staples in the Middle East and the Indus Valley for thousands of years. There is archaeological evidence of dates planting in the Arabian Peninsula since the 6th millennium BC. Date trees reach about 21 to 23 meters in height, grow individually or form a mass with several trunks of a single root system. Dates are Oval-cylindrical, 3–7 cm (1.2–2.8) in long, and about an inch (2.5 cm) in diameter, ranging in colors from red to light yellow. They are very sweet, containing about 75 percent of sugar when dried. 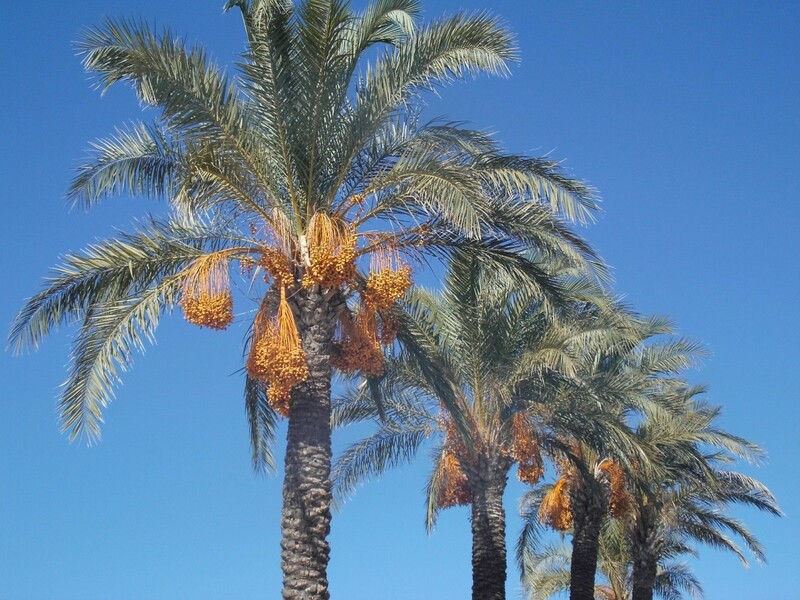 P. dactylifera is the type species of genus Phoenix, which contains 12–19 species of wild date palms, and is the major source of commercial production. The total annual global production of dates is 8.5 million metric tons. The countries of the Middle East and North Africa are the largest producers. Dates are important crops in the Arabian Peninsula, Iraq, and North Africa. Dates such as Medjool and Deglet Noor are grown in Southern California, Arizona, South Florida in the United States and in Sonora and Baja California in Mexico. Palm trees take 4 to 8 years after cultivation before they bear fruit, and begin to produce viable yields for harvesting between 7 and 10 years. 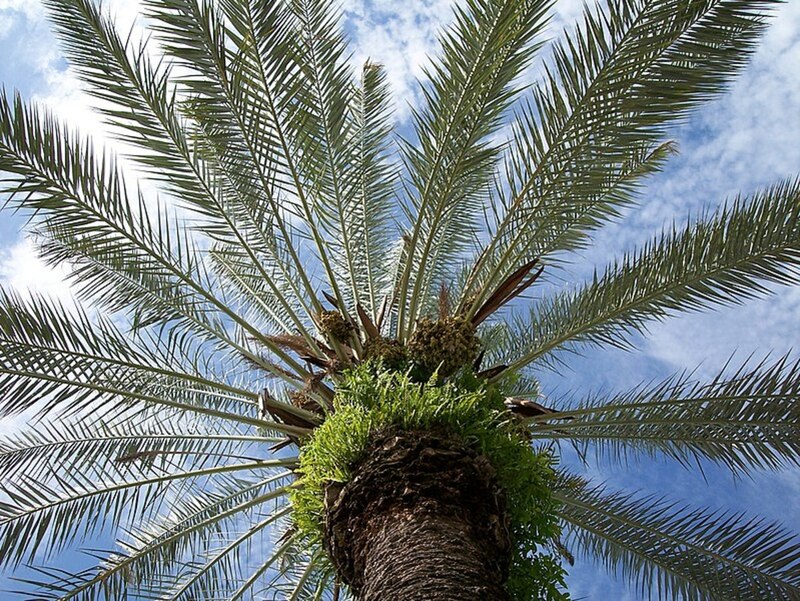 Mature palm trees produce between (70-140 kg) of dates in the harvest season. Date fruit does not mature at the same time, so many crops are required. To obtain the high-quality fruit, date bunches should be thinned and covered before maturity so that the remaining fruits are larger and protected from weather and pests. Palm trees need deep sandy loam soils that are well depleted with an acidity of 8-11. Soil must have the ability to retain moisture. Calcium should not exceed 25% in the soil. Because increasing it leads to poor productivity of palm trees. Dates take about 7 months from the time they leave the casing until they are fully mature. Dates need very hot and dry weather and plenty of water at their roots. In hababuk stage, the pollination is done by hand. 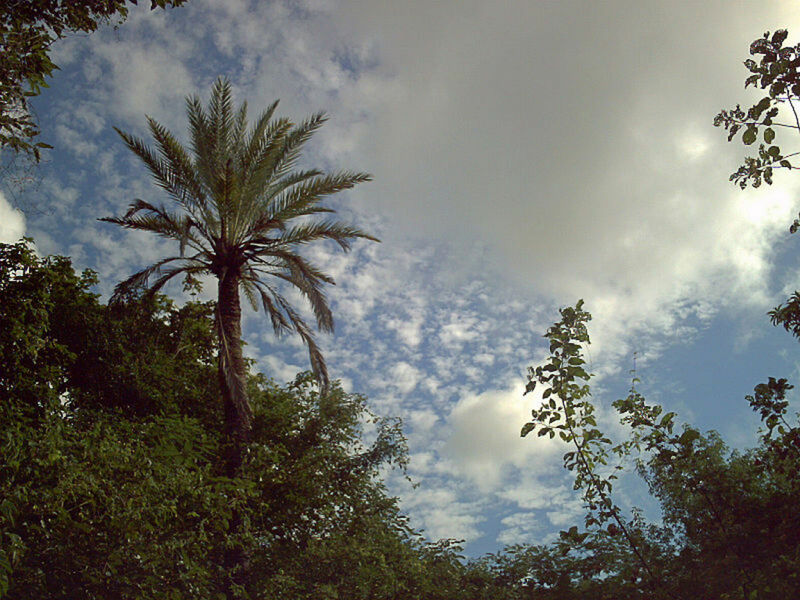 In nature, half of the palm is male, but in agriculture, females are mostly planted. One male is grown for 50 females. Pollen flowers are cut from the male tree and the pollen is extracted, and then applied by hand to the female flowers to ensure a good fruit group. Kimri is the second stage of the growth of date fruit and the fruit begins to elongate and becomes green and characterized by a rapid increase in weight and size. 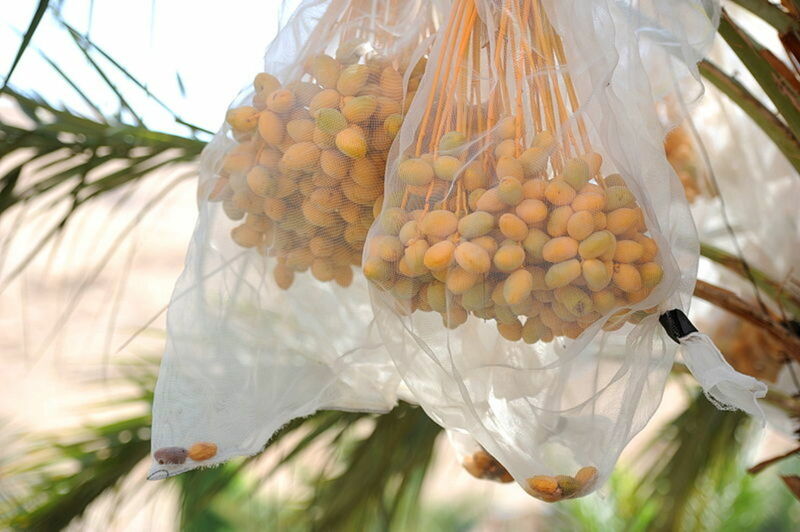 In the late kimri or early Khalaal, bunches of fruit are bagged; this keeps the dates from rain, birds and sun burning. This is done by a paper wrap or nylon bag. 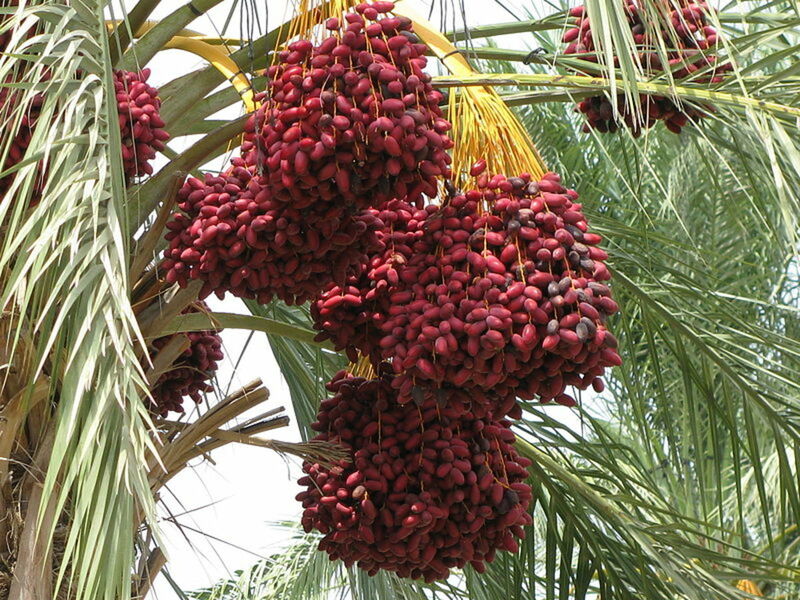 The khalal stage, the date fruit is characterized by weight gain and the color changes to yellow, red or blond and this takes about 3 to 5 weeks. 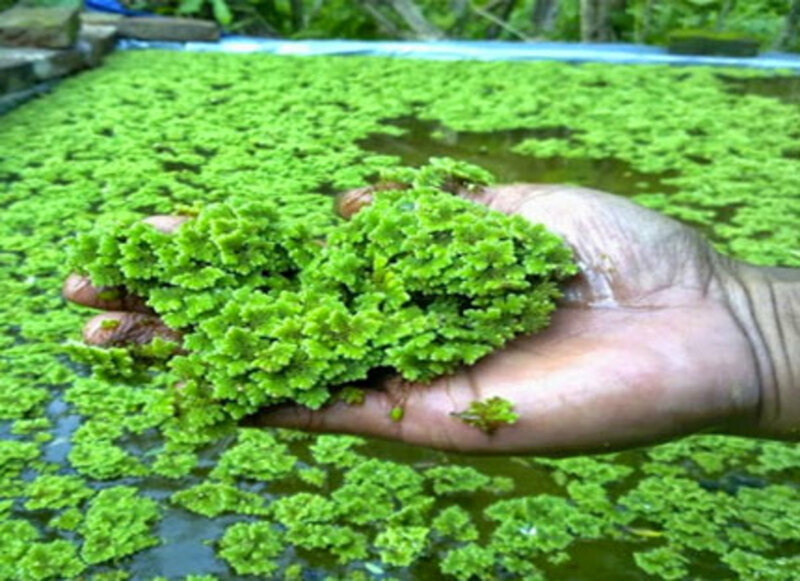 In the rutab (wet) phase, the fruit becomes watery and sweet and ranging from 2-4 weeks. If allowed to hang on the trees for two or three weeks, they will be tamr. 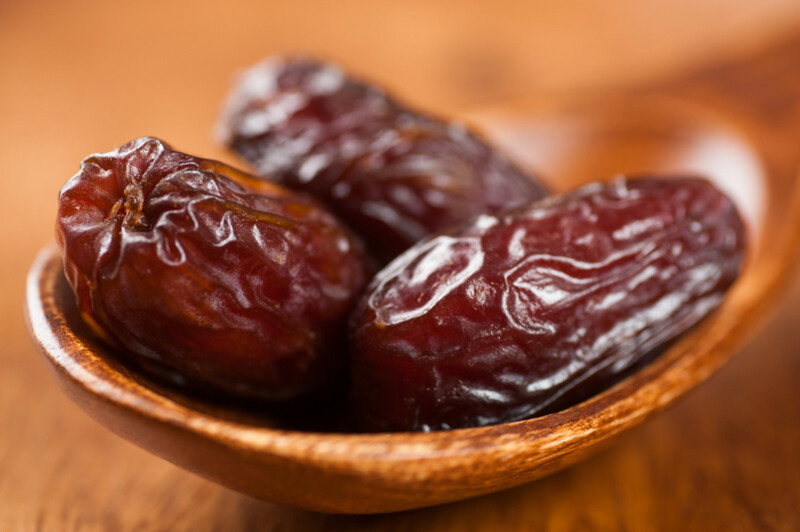 At this stage, the fruits of the dates are smooth and contain moisture content less than wet. 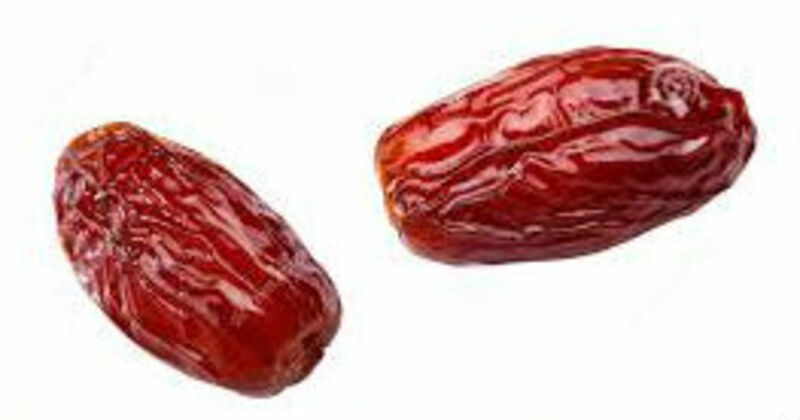 Most dates are harvested at the tamr stage. There are more than 450 species of tamr dates in the world. Energy: 1,178 kJ (282 kcal). Carbohydrates: 75.03 g (2.647 oz). Sugars: 63.35 g (2.235 oz). Dietary fiber: 8 g (0.28 oz). Fat: 0.39 g (0.014 oz). Protine: 2.45 g (0.086 oz). Pantothenic acid (B5): 0.589 mg. 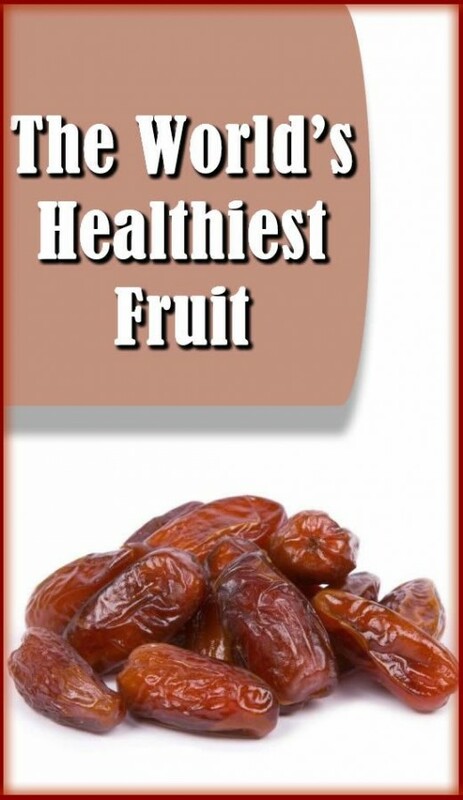 Dates are mentioned 20 times in the Quran and more than 50 times in the Bible. In the Holy Quran, the God guides Virgin Mariam (Mary) to eat dates at the birth of Isa (Jesus) according to the verses 23, 24, 25, 26 from Surah Mariam (Mary). The English translation of these verses, as in the English Translation of The Noble Quran - NobleQuran.com, is: “In the Name of Allah, the Most Gracious, and the Most Merciful. 25. "And shake the trunk of date-palm towards you; it will let fall fresh ripe dates upon you." 26. "So eat and drink and be glad, and if you see any human being, say: 'Verily! I have vowed a fast unto the Most Beneficent (Allah) so I shall not speak to any human being this day.'" (Surah 19: Maryam). 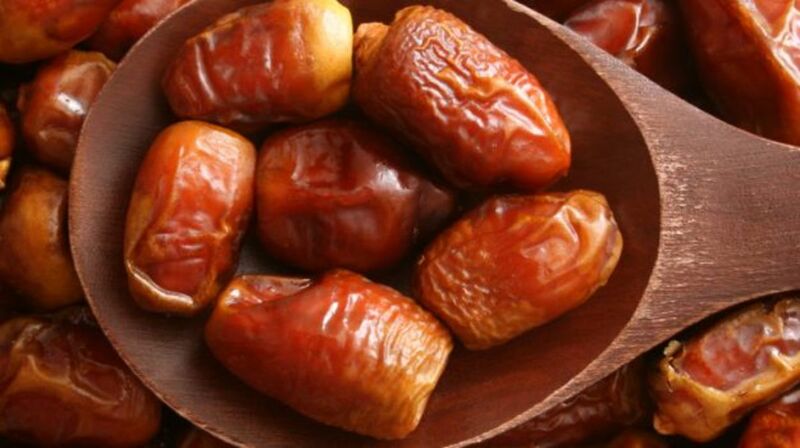 Also, in the Islamic culture, during fasting the month of Ramadan, dates, milk or water are the first foods consumed for Iftar (fasting break) after sunset. This helps not to over-eat after the end of the day of fasting because when the body begins to absorb the high nutritional value of dates, the feeling of hunger recedes. General strength of the body, treatment of anemia, where dates contain a high percentage of minerals, which is useful for many different health conditions, but the excitement level of iron makes it a perfect dietary supplement for people suffering from anemia. The high level of iron in dates balances the essential iron deficiency in patients with anemia, which increases energy and strength while reducing feelings of fatigue and stagnation. Dates contain organic sulfur. This is not a very common ingredient to find in foods, but it has a lot of health benefits, including a reduction of allergies and seasonal allergies. 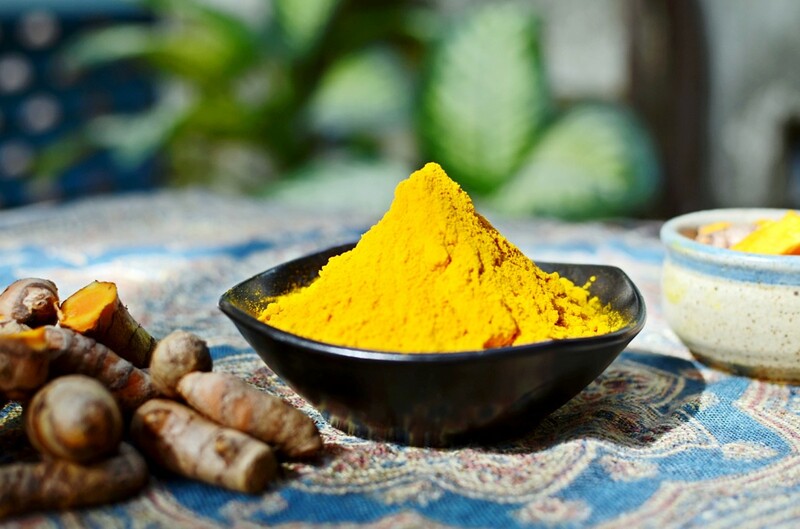 According to a 2002 study, organic sulfur compounds can have a positive impact on how much people suffer from SAR (seasonal allergic rhinitis), which affects about 23 million people in the United States alone. Prevention of nerve disorders because they contain a high proportion of Potassium which is a key ingredient in promoting a healthy, responsive nervous system, and it improves the speed and effectiveness of brain activity. 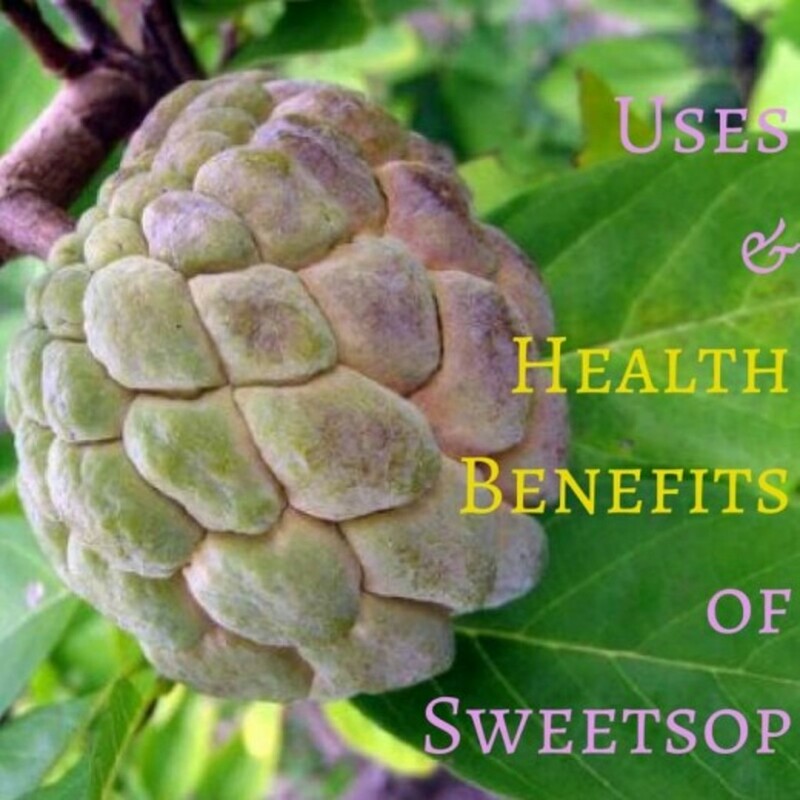 Therefore, they are a great source of food for people as they age, and their nervous system becomes slow or unsupported, as well as for people who wish to maintain their mental state. Potassium also reduces heart-related illnesses. Increase the secretion of hormones (such as prolactin hormone) that stimulate the secretion of milk for breastfeeding. Dates are used to treat chronic constipation because they stimulate bowel movement. Dates protect from cancer because they contain phenol compounds and antioxidants. Dates are the most important foods rich in the content of compounds that activate the immune system, it is rich in the content of the complex "Beta 1, 3D Glucan" and the most important benefits of this compound is activating the immune system in the body and also the ability to unite and surround and encapsulation of strange substances in the body. It also detects and destroys damaged cellular debris in the body as a result of exposure to radiation (such as computer radiation, X-ray, mobile phone radiation, or UV radiation). Contains vitamin B1 and B2, these vitamins strengthen nerves and soften the blood vessels and moisturize the intestine and save them from inflammation and weakness. Dates are rich in phosphorus at a high rate. Maintains eye moisture and luster, prevents the problem of night blindness and makes eyesight effective at night as well as daytime. Dates help maintain weight because dates consist of proteins, some essential vitamins, and sugar. One kilogram of dates contains almost 3,000 calories, and the calories in them are sufficient to meet the daily requirements for a human body. The stomach can digest dates and absorb the sugars in it within an hour or a few hours. 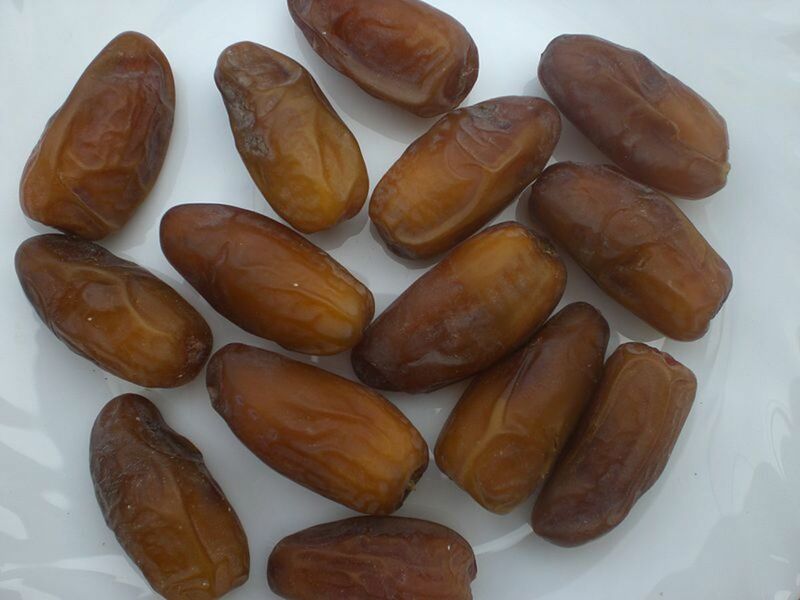 Dates contain potassium, which should be avoided by patients with renal failure. Dates do not cause diabetes but increase the blood sugar in diabetics. Therefore, patients with diabetes when eating dates, consult a doctor. Phoenix dactylifera L. — The Plant List. 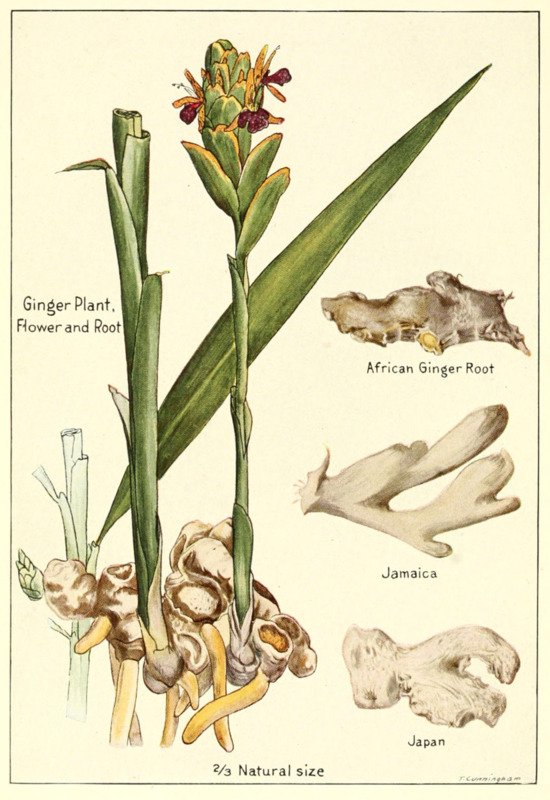 World Checklist of Selected Plant Families: Royal Botanic Gardens, Kew. Thanks, Liz. I agree with you that dates are a delicious and useful snack for all family members. I love dates. We used to have them at Christmas. I was known for sneaking into the kitchen as a child to eat them. Thank you very much, Linda. Travel always adds to our knowledge a lot of learning. I'm really glad you found the article informative. Your research is superb! I've learned a great deal more about this fruit. I lived in the Coachella Valley of California and they have a number of date farms in the area. They grow Medjool and Deglet Noor varieties. I visited a date farm museum to learn about the cultivation, harvesting and history. The souvenir shop serves date milk shakes which are very tasty. I don't eat dates very often because of the high sugar and calorie content but I do like them! Thanks, Kyokusiima. I agree dates are so useful and healthy. Good. indeed it is a curing and healing plant. Thanks for the information. Thanks, Joni for commenting. Dates are already the most useful fruit ever. It's a quick meal for all family members especially for kids to increase their immunity. I had no idea that dates were so beneficial. Very informative article. Thank you very much, Mary, the dates are healthy, delicious, and are actually an easy snack for the entire family. This is really a very informative article on dates. Thank you for bringing out its health benefits. We have dates all the time in our house as they are an easy snack to pick up.